In February 2019, there are two things that are givens in my life. There are countless others...but let's focus on two of them, so I don't bore the beejeezus out of you all. 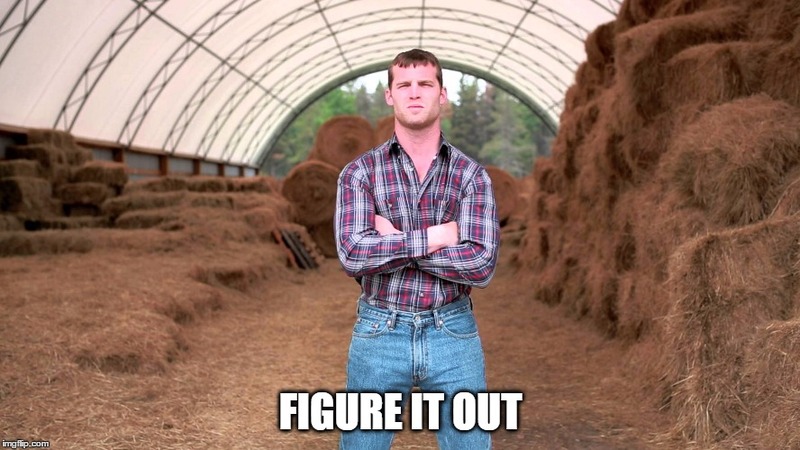 First of all, Letterkenny is an amazing show. Its lexicon has crept into my daily usage. It's one of the few joys I've experienced during this blistering cold--aside from family, friends, and rediscovering JoJo's Bizarre Adventure. And here's my second: Major League Baseball has had a lack of traction on actual major league deals this offseason. Teams seemed more content trading everyone away on some Lakers/Pelicans foolishness (hi Jerry Dipoto) or signing everyone and their mom's second cousin who used to play in the KBO for a week-and-a-half to a minors deal. Look on MLBTradeRumors, and you'll see a bevy of "so-and-so signed to a minors deal" posts. I'm not sure if it's a hangover from last year when several upper-mid-tier players waited until damn near March to sign because they weren't offered what they deemed fair/teams weren't offering decent contracts (looking at you, Alex Cobb). I don't know if MLB is waiting for Manny Machado and Bryce Harper to sign to (possibly) lesser deals than what's expected. However, many thought that, with last year's stagnation, things would break this year because, you know, two once-in-a-lifetime players were hitting free agency at the same damn time. However, it's early February and, aside from some rumors that the Padres(?) were kicking the tires on Manny and Bryce, we're in the middle of another slow-as-turtle-droppings offseason. Sure, Yasmani Grandal signed a deal (a one-year deal, mind you, but a major league deal) and A.J. Pollack and Andrew McCutchen have some bank coming their way (again, however, a bit less than expected). A good portion of the top 50 Free Agents, per CBS Sports, have gotten deals, though most of which were less than what was expected (see a theme here?). However, there have been a lot of free agents still looking for deals, and we're not talking random schmucks, either. Dallas Keuchel is without a team. Mike Moustakas is without a team. Craig Kimbrell is still without a team. Hell, Adam Jones hasn't even had the tires kicked by the Orioles yet. 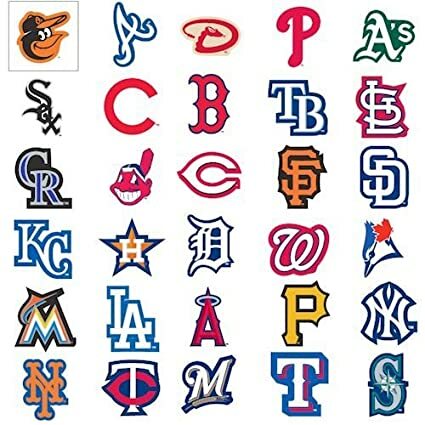 The Orioles! And that's before we go past the so-called top 50. Major League Baseball brings in money money. Even with a decline in ticket revenue in the past year or two, the MLB still brought in, in 2017, at least $10 Billion. Spare me the "we're poor" theatrics, owners. Now, I'm not expecting everyone to give Manny Machado $300 Million. But, for the love of all that is good and grand in life, there should not be that many people without jobs--or with underpaid jobs. I'll be honest: I somewhat think that salaries in sports are crazy. I don't think that someone should be paid millions of dollars a year to play with a ball. That's another pig at another farm. However, when the owners are gaining hundreds of millions a year for these players doing things with balls and they're consistently low-balling players just because they know that fans will still support in droves (or are using "analytics" as a scapegoat to not give players their fair financial shake)? That's effin' embarrassing. But, the scary thing is this: if generational talents like Machado and Harper aren't getting the deals they want...what happens if/when WAR savant Mike Trout gets shafted? What happens if/when Mookie Betts gets the short end of the stick? What if Shohei Ohtani's next deal values him as much, say, the Orioles valued Sidney Ponson that last go-around? Will the owners be able to navigate through a work stoppage? More importantly, will the fans put up with that (because, let's be real, some fans probably think players and owners are being greedy)? I don't have the answers, but until MLB owners, front offices, and players can agree on fair contracts, considering the valuation each player may bring to a team, I think that we're headed for a strike when the next CBA negotiations come around. Love the game like you love your wives, MLB. I mean, everyone wants to make money, right? Pull your fingers out of the sand (had to butcher that one) and get to chorin'. And by chorin', I mean figuring it the hell out!